Winter swim lovers from Vladivostok will become the heroines of a special story of the international TV channel Russia today. For the second year, television enthusiasts are interested in girls who love winter swimming from Vladivostok, swimming among ice floes and in a shuga. They say they are surprised how fragile girls decided to do winter swimming. Primorye lovers of winter swimming say that last weekend the operator chose a picturesque, but wildly shallow place, approximately ankle-length had to be portrayed for Europe swimming in shallow water. 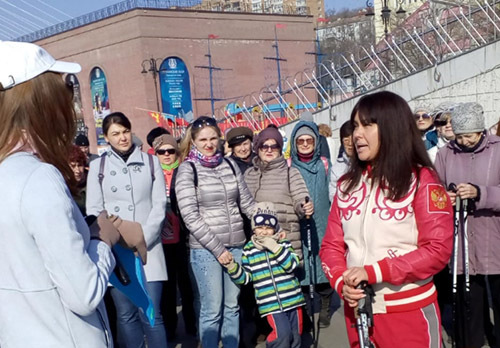 Despite all the difficulties, the material was done and now Vladivostok lovers of extreme swimming are waiting for the release of the plot and the promised world fame. Informal club of winter swimming lovers of Vladivostok appeared a few years ago and became popular not only in social networks, but also in local and federal media. Earlier it was reported that a lover of winter swimming organized a master class on bathing in icy water for the correspondent of our television company.